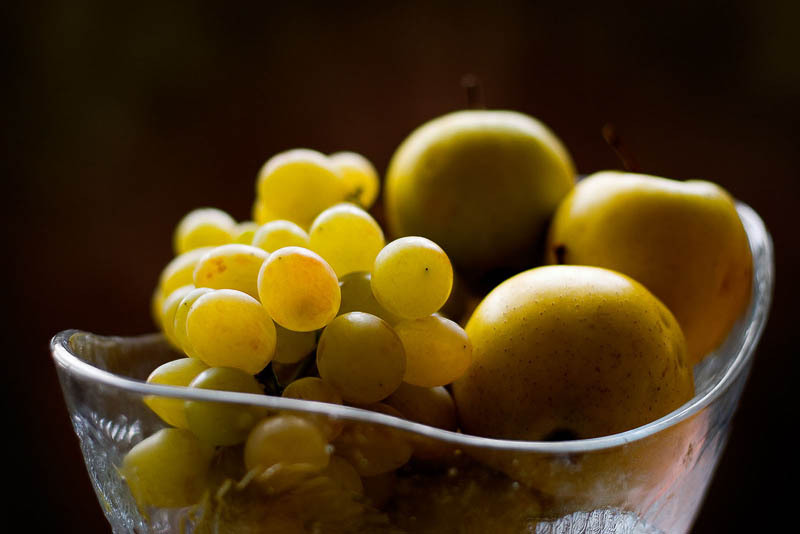 Bunch of white dessert grapes and yellow apples in crystal dish. Healthy, natural, dietetic, vegetarian food. Fresh, sweet fruits.